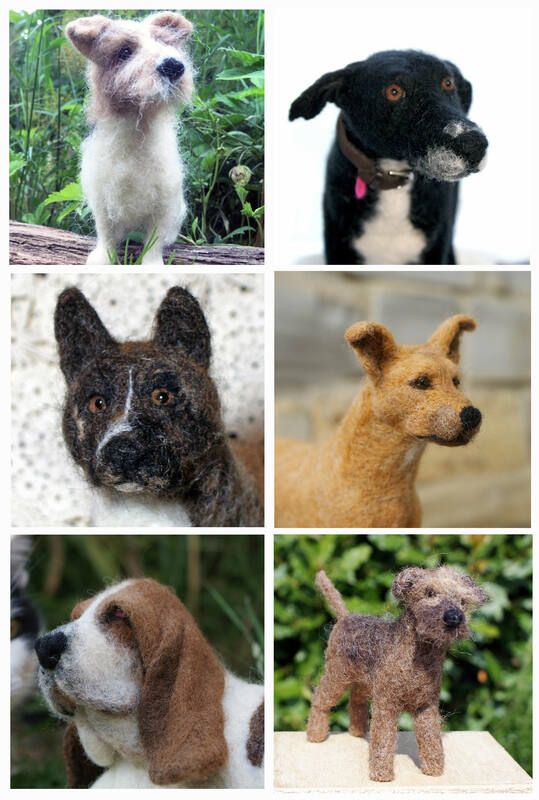 Advanced Needle Felting Workshop with Lydia Needle: Dog Anatomy focusing on heads, faces and armatures. This workshop is the perfect learning environment for those hoping to really hone their needle felting skills. It is recommended for those who already have some experience of needle felting but is not really suitable for complete beginners. If you wish to attend this advanced class, I recommend coming to the ‘Pick-a-Kit’ workshop on February 24th 2018 or purchasing one of blackdogandgingercat’s needle felting kits. During the session, we will work on a variety of dog’s heads, faces and legs in order to perfect our characteristic with full support and expert advice from Lydia. ***Please note: we will not complete a whole dog but will instead have a variety of pieces to work with at home. Please feel free to bring pictures of your own dog for inspiration. All equipment, materials and sculptural pieces are yours to keep at the end of the class. 10-4pm tea and coffee provided. You are welcome to bring your lunch. Please let us know your dogs colouring at the time of booking.